Obituary for Wanda M. (Waleko) Andia | Thomas J. Gmiter Funeral Home, Inc.
Age 96, of Bon Air, formerly of the South Side, passed away peacefully on Wednesday, November 14, 2018. 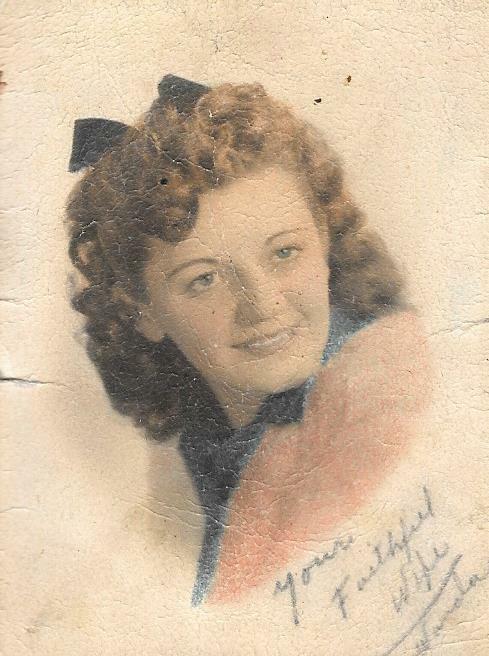 Wife of 65 years to the late Albert Andia; daughter of the late Stanley and Maryanna Waleko; beloved mother of Dee Dee Porter (George), Linda Kahl (James) and Vivian Novak-Krestal (Dave); grandmother of Christine (John), Daniel (Tanja), Julie (Jay), Teresa, Nicholas (Nicole), Kurt (Nicole) and Kristopher (Alexa); great-grandmother of Zachary, Jeremy, Ruby, Cameron, Elaina and Nathan; also survived by nieces and nephews. Friends received Sunday 2-4 and 6-8 PM in Thomas J. Gmiter Funeral Home, Inc. 2323 E. Carson St. Funeral Prayer Monday 9:30 AM, Mass of Christian Burial in St. Sylvester Church at 10:30 AM.